2013 is almost over. Time to re-live some of the best moments. 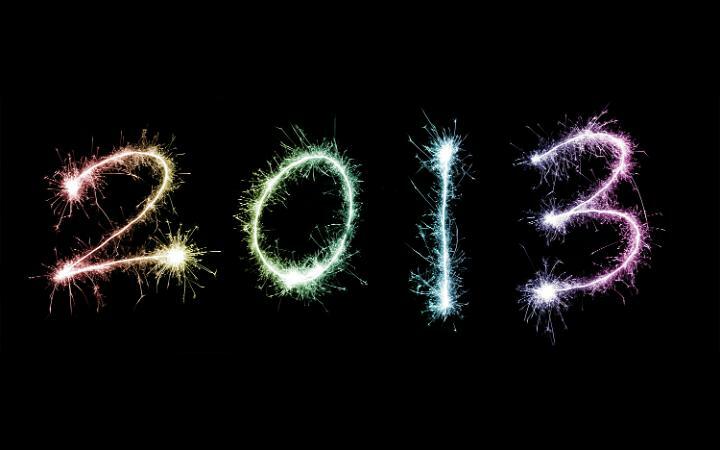 2013 is almost in the books. It's been a very interesting year in sports. The reigning NFL Champion won't be in the playoffs. Peyton Manning broke a whole slew of records. The BCS is in its final year. LeBron James and the Heat won back-to-back titles. The Red Sox went from last place to first place. A 15-seed made the Sweet 16 of the NCAA Tournament. We're here today to share our choices for the biggest plays and best moments from each sport and each league. Some of them are no-brainers, some might come as surprises. And some we couldn't pick just one so we had to use a few. This one is pretty straightforward. On the biggest stage in basketball, needing three points to save the season, Miami gets three points in the most dramatic of fashions. Even completely removed from context, it's a rather incredible play - Allen being able to set his feet behind the line without looking at them and launching a shot as he's drifting backwards (but still being able to maintain balance well enough to get an accurate shot off) is something that not many players can do, and it's one of the reasons that Allen is considered by many to be the best pure shooter in history. But with context added? It clearly puts it over the top - this play was the difference between the Spurs winning the championship and not. As has been written a number of times - no team has come closer to winning a championship without actually winning it than the Spurs did. And that's because of Ray Allen. Here's one more NBA play, just for fun. This was unquestionably the dunk of the year, and one of the better in-game, half-court dunks I've ever seen. It's impossible to watch and not laugh and shake your head. We have two late comebacks from the playoffs to share here - fittingly, the Bruins are on both sides. Yes, we are aware that this is a post about top "plays," not top "comebacks" (which include a great number of plays). But if we file these under "best moments" of 2013, they certainly qualify. The first comes from the opening round of the playoffs, when the Bruins trailed the Maple Leafs 4-1 halfway through the third period. They scored three goals in the next 10 minutes (including two in a 30-second span late in the period) to force overtime, where they eventually won. Here are highlights from the full game. The Bruins were about to force a Game 7 back in Chicago when suddenly the Blackhawks did to them what they had done to Toronto. Coming in the Stanley Cup Finals made it take on an even more dramatic twist. There would be no Game 7. Two grand slams. Not sure what else needs to be said. Auburn had a pretty good year. We're going way back into 2013 for this one - this is the earliest play on our list, chronologically speaking. The Ravens had one of the more improbable Super Bowl runs in recent memory, and none of it would have been possible without a laser throw from Joe Flacco to Jacoby Jones (and a conveniently blown coverage by Rahim Moore) all the way back on January 12. We have two more clips from college basketball - not quite as meaningful as the other ones (save for DeAndre Jordan's dunk). None of them decided a championship or even involved a team that would go on to win one. And those are the Top Plays of 2013. On Wednesday a new year starts, and with it comes another 365 days to accumulate moments for next year's list.